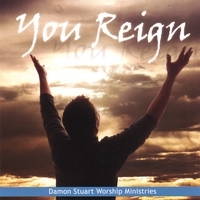 Damon Stuart Worship Ministries presents their debut CD "You Reign." As you listen, our prayer is that you will experience God's presence as you seek Him in true worship. You Reign consists of seven original anointed songs that will take you straight to the heart of the Father. Damon Stuart Worship Ministries was created to bring people into the deeper realms of worship and praise. Damon's desire is to see the heart of worship become reality as people enter His holy presence.